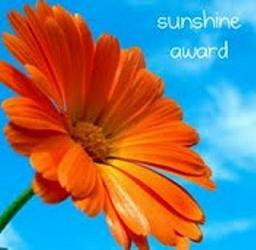 The Sunshine Award – Yes, it’s all about me. nominated me for this blogging award. She follows me, I follow her – everyone wins by getting to read interesting posts on a regular basis. I’m not really sure what a Sunshine Award means, but it’s a very pretty icon and I guess it’s better than a kick in the pants, so I’ll take it. Hooray for me! * Please answer the ten questions. – and…Done-er-i-no. I was tired of stifling my voice. As public servants and members of a union, teachers are expected (and actually required, in most cases) to keep their opinions to themselves. As someone who is, how shall I say it nicely, not exactly quiet about her opinions, I needed a place to vent, share and express myself. 2. How did you come up with a name for your blog? I have always wanted to write a book called, Confessions of a Suburban Princess. I figured this blog would put me on the road to that goal. But the name, Suburban Princess, was already taken, so I tagged ‘Teacher’ on to the end and decided I actually prefered it. http://thebloggess.com/ She makes me laugh with every post. She also inspired me to write this blog. After I read her best-selling book, I thought, “Damn! That girl is crazier than a cat in a paper bag and she wrote a blog and a book. Maybe I could, too!” Check her out…you won’t be sorry. 4. Tell me about your dream job. I’m still not sure what I want to be when I grow up but my dream job should include beagles, George Clooney, wine and chocolate. It’s usually completely empty…I’m a chugger. Liver. It’s disgusting. I had to eat it once a month when I was a teenager because my mother was convinced it would raise my iron levels when I was men-stru-ate-ing. Helllooo? Had we not heard of iron supplements in the 80’s?? There’s really no need to eat an animals’ internal organs. I’d like to say dark because it’s politically correct and all, but no…I could eat milk chocolate until it flowed from my orifices like lava. Pour it overtop of a soft gummy bear and you have my heart forever. Not a lot. I don’t like it to get in the way of my “Vampire Diaries” watching. 10. Do you watch TV? If so, what are your favorite shows? Of course I watch TV…what do you think I am? Amish? I LOVE TV and now that I have Netflix, I may never go back to work. I’ll just sit at home, eating my milk chocolate, watching series after series…ahhhh, bliss. Favorite shows? Vampire Diaries, Days of our Lives, The Good Wife, The Mentalist, What not to Wear…yes, I am an intelligent girl. That’s it for the questions about ME. (Sadly.) And now, for the final part of this assignment: ten of my favorite bloggers. Check them out, if you have time on your hands that you don’t know what to do with. Also: I love the people down the side of my blog. They are cool, too. Enjoy. The Vampire Diaries is my guilty pleasure of TV shows! 🙂 Great responses – I am glad to have found a fellow milk chocolate fan!